What this play brilliantly conveys, without any sentimentality and with copious gags, is that the production of a few fragile pieces of paper came almost to matter more to those chaps involved than life itself. Why See The Wipers Times? What would you do if you came across a printing press in the midst of the First World War? That is the question asked by this new stage adaptation of Ian Hislop and Nick Newman's darkly satirical play that returns to London's Arts Theatre in winter 2018. Telling the eyebrow-raising true story of a group of enterprising British troops who decided to publish a satirical newspaper for their fellow soldiers, join the Tommies 100 years in the past as they perform the sketches and comedy prose featured that lightened the mood of trenches of the Somme in our darkest hour. "Wipers" was actually the mispronunciation of the Belgian town of Ypres, where the troops discovered a bombed-out printing factory. Thinking quickly, they decided to turn it to their use, and publish satirical material lampooning their superiors and dire situation - something that had the generals initially tearing their hair out in exasperation. Despite delaying production during the two-month German push, they returned to printing and composing the Wipers. It is nowadays held up as the forebear of satirical newspapers in the UK, including Private Eye, which incidentally, Hislop actually edits! 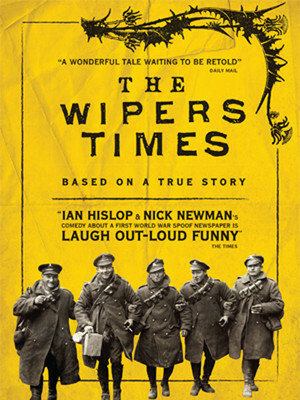 Seen The Wipers Times? Loved it? Hated it? Sound good to you? 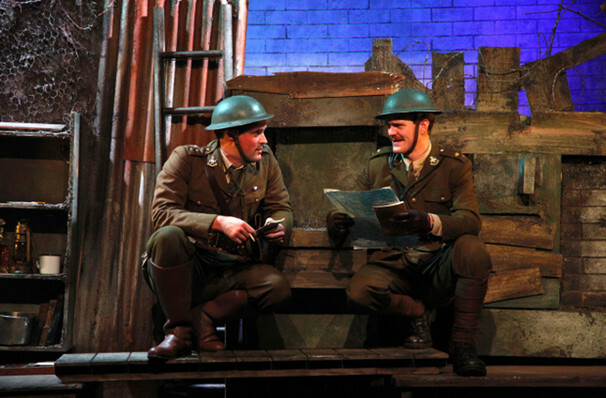 Share this page on social media and let your friends know about The Wipers Times at Arts Theatre. Please note: The term Arts Theatre and/or The Wipers Times as well as all associated graphics, logos, and/or other trademarks, tradenames or copyrights are the property of the Arts Theatre and/or The Wipers Times and are used herein for factual descriptive purposes only. We are in no way associated with or authorized by the Arts Theatre and/or The Wipers Times and neither that entity nor any of its affiliates have licensed or endorsed us to sell tickets, goods and or services in conjunction with their events.